ExpertOption is a new digital options broker that is quickly gaining fame and claims to be one of the best options in the market at the moment. It is regulated by the Russian FMRRC. Its license number is TSRF RU 0395 AA Vv0084. We conducted a detailed investigation and were very pleased with the results. It seems to be a good choice even for the newbies, and especially those who have little savings to invest in digital options trading. Read on for more details. The ExpertOption broker offers a variety of lucrative features to its clients. However, these features vary depending on the type of trading account that a client chooses to open. 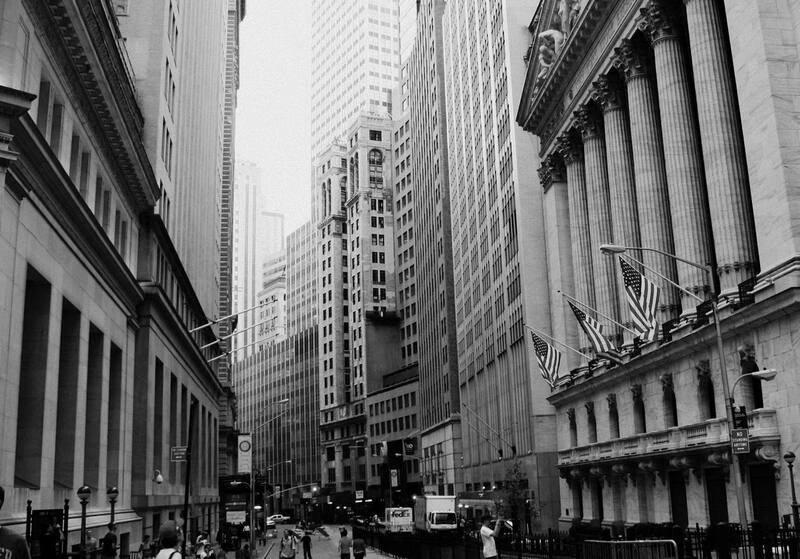 This broker provides four types of trading accounts from which their clients can choose from. Every account has its own features and it is advisable that every prospective trader to go through all the features before choosing the type of account to open. Mini Account – For a client wishing to open this type of an account, he or she will require a minimum deposit of just $50. This is among the lowest among the digital options brokerage firms. Also, the client is assigned a personal account manager to help manage the account. The client is also entitled to one personal trading session and a weekly economic newsletter. There is also a 50% bonus. Silver Account – For a trader to open an ExpertOption silver account he or she will need a minimum deposit of $250. The trader will be entitled to a personal manager and two personal training sessions as well as a weekly economic analysis. In addition, the trader will get a 80% bonus. Gold Account – This account will require a higher minimum deposit since the minimum deposit required is $1000. For a trader to invest such a huge amount in digital options trading, the trader has to be well versed with trading. Similar to other account types, the trader will also have a personal account manager. In addition, the trader is entitled to 4 personal training sessions, a daily economic analysis and a 100% bonus. Other features of this account are the that the trader is given priority when it comes to money withdrawals. VIP Account – This is the highest account that a trader can open with ExpertOption broker. It is reserved for the professionals and it requires a minimum deposit of $2500. The trader is entitled to a VIP personal account manager, daily economic analysis and an individual educational plan. The bonus is increased to 125% and the trader is given priority when it comes to withdrawing money. Also, the trader is able to access the analysis of his or her trade history. The ExpertOption broker also provides traders with a demo account that doesn’t need any extra downloads. 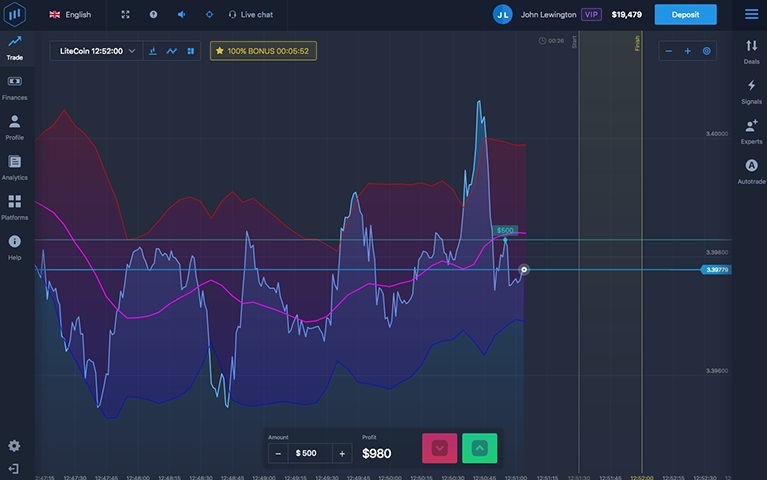 In the demo account, traders are provided with $1000 virtual money so that they can test the broker’s digital options platform before starting to trade. The ExpertOption also has very well laid out bonus terms found in the Terms section. The main thing with the bonuses is that they require a x50 turnover before withdrawing. Also, the trader has the chance to cancel a bonus but only before placing any trade after taking the bonus. The Minimum investment with this broker is $1 which is the lowest and it helps traders to test the market environment before investing larger sums of money. What Features are Offered by ExpertOption? ExpertOption trading platform – The platform has been solely developed and is used exclusively by ExpertOption broker. In the trading industry, the vast majority of brokers use software designed and built by other service providers but not ExpertOption. Their proprietary software is very easy to use, with a straightforward layout and interface making it appropriate for both new and seasoned traders alike. The software also includes features which enable traders to take on and perform a few technical tasks which help in improving their profits per trade while at the same time swiftly executing transactions. Educational material – The broker’s website is loaded with lots of educational and informative material which is part of its ’Education’ section. The material is enough to help a newbie trader get up and trading in a short time. Whether they are interested in trading digital options, indices or currencies the material offers some advice and strategy for each type of trade. In addition, a glossary of various technical and commonly used trading terms along with analytical information rounds off its well stocked ’educational’ section. 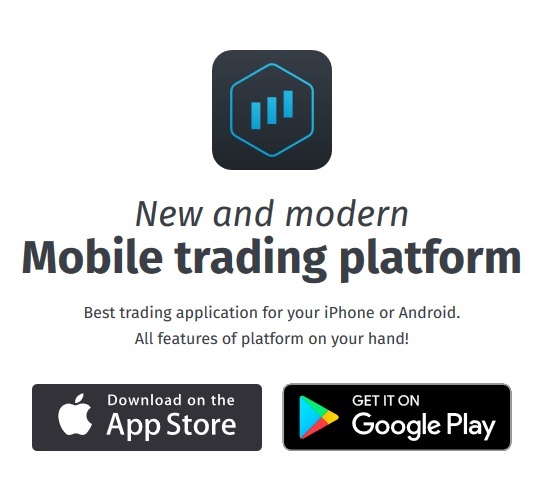 Mobile trading platform – The mobile trading platform offered by ExpertOption is an efficient trading tool which helps traders execute trades within seconds. The platform is available as an app which can be downloaded from Google Playstore for Android devices, and iOS users can download the app from AppStore. The app is an especially good option for traders who move around a lot but need to execute trades regardless of where ever they may be. Assets – The broker offers a number of different trading assets which include Forex trading pairs, Gold & Oil, Commodities, and Indices. Market Indices happen to be some of the most popular assets traded by many using the platform especially since it includes firms on the S&P500. Endless supply of trading signals – The platform is designed so that traders receive a steady and almost endless supply of trading signals. The alerts and signals can help traders execute relatively profitable trades. The signals will alert traders as to when a ’Strong Buy’ is a good idea when staying ’Neutral’ makes more sense, how much to ’Strong Sell’ and ’Sell.’ The signals are very important for people who trade digital options as it helps them make the right decision. ExpertOption like many other brokers in this industry uses a number of marketing strategies to attract traders to its digital options and trading platform as a whole. The sales language is designed to lure traders both seasoned and newbie alike. However, when you set the marketing language aside and look at the website entirely objectively, it does not come across as genuine. Finding verifiable and objective information about the website is difficult which makes it hard to choose it as a reliable trading platform. The lack of information will naturally make it difficult for any trader to trust the broker. 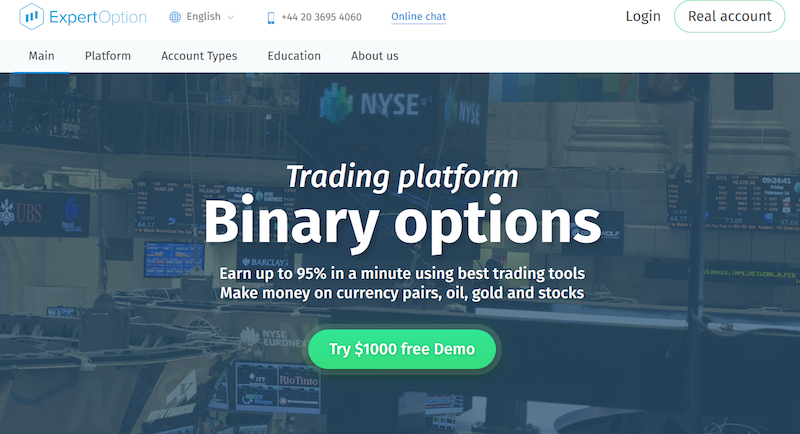 The broker’s website also has a demo account which is meant for traders to learn how to trade digital options using the platform. However, in reality moving between the demo and main account is a hassle since it directs traders to the trading area each time. Also, the demo account shows exaggerated profit figures which if anything it is an indication that the website is unreliable since its promising a higher than usual return deemed impossible when live trading. So, we think that the demo account is another trick to entice traders into putting money and trading with the service instead of being honest. Bonuses and various promotions mentioned on the website are clearly outlined detailing how they will be rolled out. However, the promises of fast withdrawals are nothing more than mere gimmicks which you can further understand by referring to the website’s terms and conditions pertaining to bonus withdrawals. If anything it’s not easy for traders to retrieve their withdrawals once the initial deposit is made. The bonuses have been cleverly connected to the withdrawal process which makes withdrawing the money a tedious and apparently discouraging process. Deposits and Withdrawals – One of the greatest concerns with ExpertOption is their transparency when it comes to withdrawing and depositing money. The guidelines are not clear as to how these transactions take place. Many traders will find this turning them off because it does not give them enough room to maneuver and make good trading decisions. It has also led to several complaints by a few traders using the platform. Plus the company’s websites does not seem to be tailored to traders’ needs. Which is why it is a website which does not appear to be in touch with the needs of traders it is catering to or trying to attract. Customer support – Methods of getting in touch with customer support are few and far between. Not having enough ways of getting in touch with support leaves many traders high and dry because they cannot speak to someone from the company. Plus, when you do happen to figure things out the default language is Russian. If anything this language policy is isolating and alienating traders from other parts of the world, it is, for this reason, we think that the website has a small customer base. Withdrawal policy – We have mentioned this before i.e. their withdrawal policy undoes a lot of their positive aspects. The system seems to be a secret and opaque for the most part which is why traders will not choose to do business with this trader. Not being able to withdraw money properly can hamper a trader’s ability to trade and that’s something that keeps traders at bay from this broker. The section aims to provide answers to some of the most frequently asked questions about the company we have reviewed. We will answer questions ranging from customer support to promotions offered by ExpertOptions. 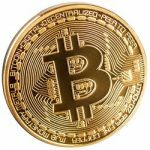 Which withdrawal and deposit methods are available? Earnings or money can be withdrawn or deposited via a debit or credit card i.e. Visa, Maestro, and MasterCard. In addition, the broker also supports Skrill, PerfectMoney, UnionPay, Yandex Money, Qiwi, PayWeb, Webmoney, and Neteller. Who is the owner and what is their registered address? The company is owned by ExpertOption Ltd, and they are located in Saint Vincent & the Grenadines, 1510, Kingstown, Suite 305, Griffith Corporate Centre. The company’s registration number is 22863 IBC 2015. Is ExpertOption a licensed broker and by whom are they licensed? The brokerage has been registered with a self-regulatory body by the name of FMRRC which is an abbreviation for Financial Market Relations Regulations Centre. The company’s license number is: TSRF RU 0395 Vv0099 with a validity of up til 8th September 2017. The company, in addition, is licensed to be a dealer of securities in the Republic of Vanuatu which was granted on 6th January 2017 and is valid for a year with license number 15014. What platform does ExpertOptions use? ExpertOptions uses an in-house platform developed by their own developers for trading mainly digital options. A demo account can be setup without having to register on the platform. 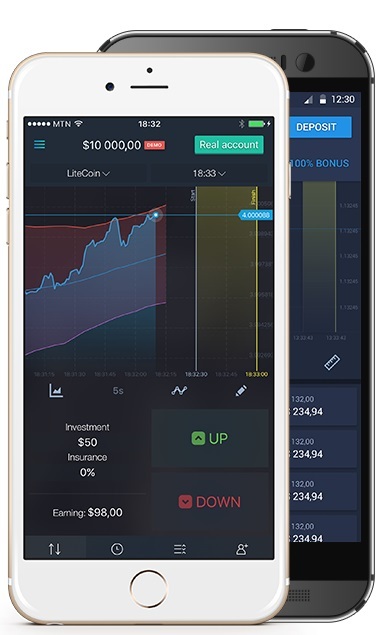 The demo account provides $10,000 of virtual money which can be used for testing and running the platform as well as running various trading strategies. Which assets can be traded on the platform? Traders have access to around 50 assets which are a part of four broad categories i.e. indices, currency pairs, stocks, and commodities. When do the assets expire? The expiry ranges presented by ExpertOptions ranges from 60 seconds to around 5 minutes. What is the minimum deposit accepted and the lowest possible trade amount? A minimum of $10 can be deposited into a trading account. The minimum investment or trade can be as little as $1 a trade. ExpertOptions allows traders to withdraw amounts starting from $10 via their preferred payment method. What bonuses and benefits are available for registered customers? ExpertOptions will give people who signup 100% percent of their initial deposit and anywhere from 25% to 125% on subsequent deposits into an account. In addition to various monetary benefits, the company also offers many other advantages like every trader having their own personal manager, trading analysis, and priority withdrawal, etc. What account types are available to traders using ExpertOption? Traders get to choose from four account types mainly based on the amount they deposit. The ’Mini Account’ is for those who make a minimum of $50 deposit. The ’Silver Account’ is for those with a minimum of $250, and the Gold requires a minimum of $1000. Finally, the VIP account is for big traders with a minimum of $2,500 deposit but which also offers an extensive list of exclusive benefits. What is the expected ROI (Return on Investment) per trade? Traders using ExpertOptions can expect up to a 95% payout on all their winning trades. So, if they invest $100 for instance, the winning trade will help them get $95. The $5 is deducted as a commission by the broker. How do you get in touch with customer support? Customer support is provided via a few channels including email, phone, web forum, and online chat. The ExpertOption trading interface is very user-friendly. It provides a good overview of the how to trade. On the platform, a trader can choose different assets like currency pairs, indices, and commodities (gold and crude oil). Unfortunately, this broker only offers short term expiry times which leaves many traders wanting more. When it comes to mobile trading, ExpertOption only provides a smartphone and tablet app for iOS devices. It currently doesn’t have an app for the Android devices but hopefully, they will roll it out. 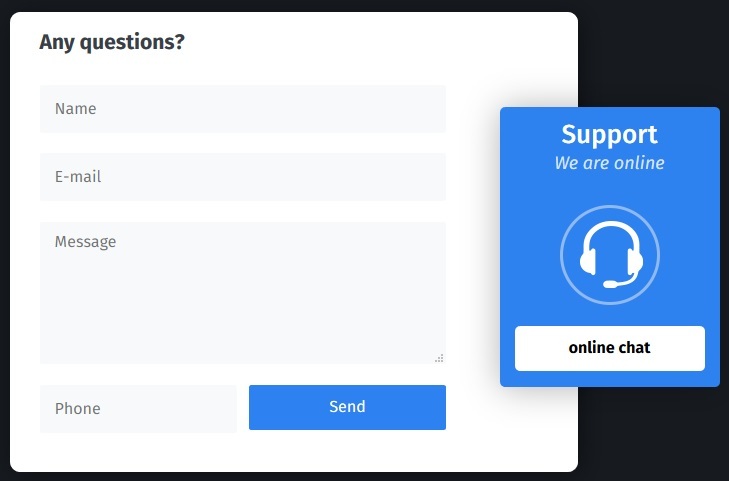 ExpertOption has a very responsive customer support team. Traders can access their services through phone calls, emails, Skype and live chat. There is also a form that traders can fill in their website. For the sake of learning, ExpertOption provides one of a kind educational section. Here, traders can find helpful articles which only explain the basic aspects of certain trading strategies. The broker also has a FAQ section where answers to all the usual questions that may bother a trader are found. The trader should use the same payment method for both depositing and withdrawing. The minimum withdrawal with this broker is only $10. All withdrawals are processed within a span of 2 days. In conclusion, this broker seems very professional and worthy of testing out. I am really happy with this broker. Work with him really was very convenient, besides profit no questions arose. I think this broker is a good opportunity to earn a good profit. In my opinion, the broker is quite convenient. The platform is really convenient, and you can see that it was worked on by normal specialists. I am really happy with the results of work with this broker. The broker is quite good. The platform is convenient for work, the profit is also quite satisfactory for me. While feedback on working with the broker I have quite good. Although I am new to this industry, I was quite happy with the broker. With him were pretty good to work with, and the money they took without problems – all I’m happy. I believe that the broker is excellent. While in the course of work there were no problems – the broker quite suits me. I really liked this broker. Without any problems, I was able to earn good money with him, which can not but rejoice. If you compare with other companies, the broker is definitely no worse. Everything works fine, I’m really happy with the working conditions. The profit I withdrew fairly quickly, no complaints here. Now I do not regret it, the percentages are normal, like, and the conditions are good. The broker is definitely worthy of attention. I started working with this broker relatively recently, but the results really pleased. So far, the broker suits me quite well. I was satisfied with this broker. How many are already working in this industry, never had any problems. In my opinion, the broker is pretty good. I work not so long ago, while everyone is happy. Money withdrew, with interest all okay. No complaints. I really liked this broker. Working with him was very convenient, besides the profit from working with this broker is very good, as for me. The validity of your lisence is already expired, is there any new or updated validity? The broker brings quite a good profit, and work with him good Interest, and with the conclusion of problems like no, everything is fine. I really liked this broker. According to the results of my work, I have only positive feedback – everything works without problems. I think this company is quite a good method of earning. I really enjoyed working with this broker. The results were quite pleasant, and with the conclusion of no questions arose. For all the time I had to change about ten different brokers, but I really was satisfied. Interest is excellent, you can earn normally. I, like many, was scared to start. After reading various reviews, my head was spinning. He took a chance and began. I’m happy, the broker is worthy. I have absolutely no complaints about the work of this broker. 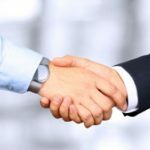 I started working with him for a long time, and in principle, all the results are completely satisfied — the broker is convenient, and profit is still pretty good. So far this broker seemed to me really one of the most convenient and profitable in terms of work. At least, the results were quite good, and the money I brought almost immediately. I am completely satisfied with the broker – he justified all my hopes. Money is taken out without problems, and the average percentage was about 80, which is also quite solid. I was pleased with the broker rather fast withdrawal. I have been working in this industry for a long time, and so far the results of the work really pleased. In addition, the conclusion of the full order. I’m sure that a broker will like many, especially beginners. In fact, working with a broker is quite convenient, and the staff of the company can even help you in case of difficulties. So far, I am quite happy with the broker. There are no problems with profit, and with the withdrawal of funds in full order. In my opinion, the broker is quite worthy of attention. I am quite happy with the results of work with this broker. It was very convenient to work, and it brings a very good profit. I really liked the broker. Really great company. I started working with this broker about a year ago, and so far there are no questions about the terms of work. In my opinion, the company is quite stable. The company is great, as for me. At least, during the work with this broker there were no problems. Everything works pretty well. I’m happy with the broker. In fact, everything works pretty well, as for a broker of this class, and profit at a height. I’m really happy with him. I really liked the broker. Of all the companies I have worked with, this is probably one of the best brokers. Money is withdrawn, and the profit is still pretty good. This broker is enough for me to work. In fact, it was very convenient to work with him, and the profit is relatively good, besides all output without problems, which can not but rejoice. I think this is a really good broker. At least, I was able to earn with this broker is quite good money, and with the conclusion is a complete order. In terms of work, this broker suits me quite well. In my opinion, it is really profitable to work with him, and besides, it is quite convenient.